The liberal far-left is at it again with their latest reason to be offended but this time they have gone too far and I'm beginning to question whether this I'm living in reality anymore. 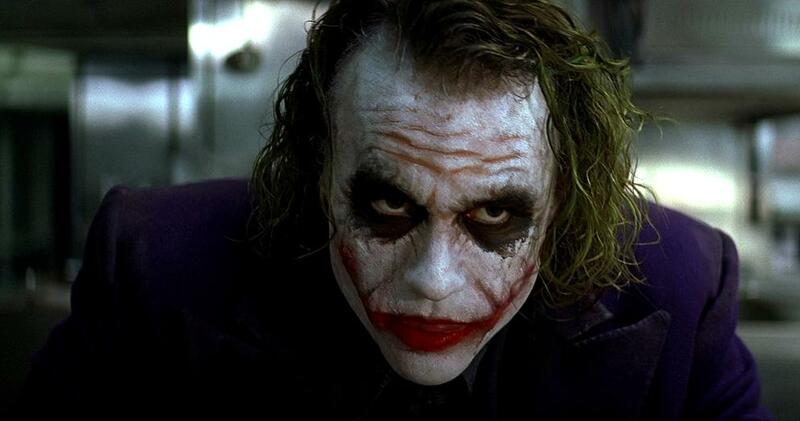 The British Film Institute decided that scars on villains in films were too offensive to people because it portrayed those people with facial scars negatively. I don't have to tell you how many of the great film classics had villains with facial scars, just look at Bill the Butcher, The Joker, and Darth Vader. What about Disney's Lion King which is currently in the middle of a live-action production. In The Lion King, the villain not only has a facial scar but his NAME is "Scar'. What about characters who are not clearly bad but maybe not fully good such as Harry Potter? Is Voldemort now banned because he has a CGI face that is disfigured compared to humans? The BFI announced it would no longer fund through the National Lottery any films that feature facially scarred or disfigured villains. The Christopher Nolan Batman trilogy even features two villains with facial scars, The Joke, and Bane who are both terrifying and fan favorite characters. "It’s astonishing to think that films have used visible difference as a shorthand for villainy so often and for so long. The time has come for this to stop. Changing Faces is doing an incredible job of changing attitudes towards disfigurement and making a positive impact on people’s lives and this campaign will enable people — from the film industry through to the public — to gain a better understanding of the lives of those with a visible difference." The move presents a large gain for the charity advocates who are pushing for this cause to gain more attention and funding. These people just can't be serious, there is no way that we can allow this to go through. You can't give these far-left extremists an inch or they take a mile. There are too many beloved films which feature characters with facial scars or disfigurements, are they going to start retroactively seeking out those films that already exist too and demanding they be erased? There needs to be some serious pushback to this movement, and by the way, it isn't a single person or a few facially scared people who are pushing this, it is an organization called "Changing Faces" which started the hashtag campaign "#IAmNotYourVillain". Haahaaahaaaaaa what in the royal blue f*ck?? How gay is that? At least wonky British teeth will still be presenting their bucky self. In the early 90's Dana Carvey's The Church Lady was meant to ridicule fundamentalist Christians who wanted to "ban everything!" Jeff Goad, the (highly "problematic") author of "The New Church Ladies" points out how the SJWs are taking over where the folks Dana's character was meant to lampoon left off.